A review of the Viking Cycle Enforcer Three Quarter Touring Motorcycle Jacket from Motorcycle House. 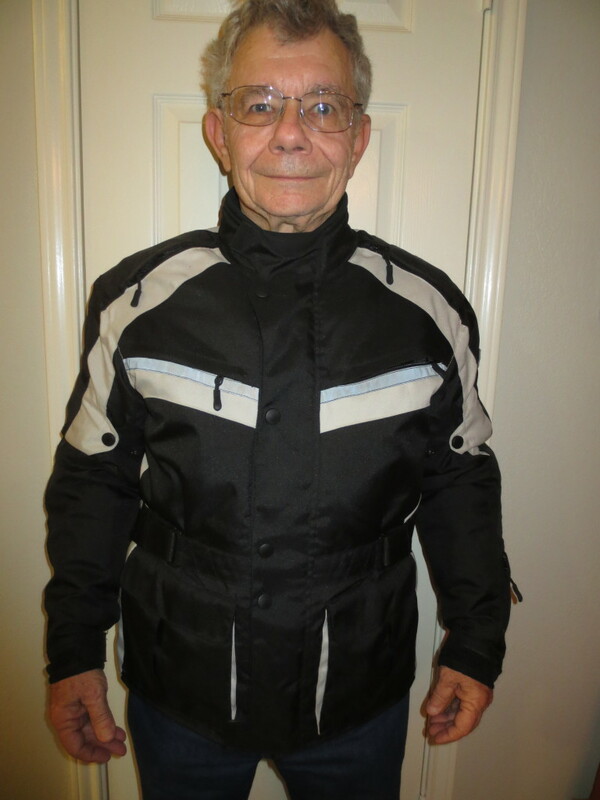 Good Gear Makes For a Good Motorcycle Ride – If you are like Janet and me, we have filled a closet with leather riding gear (i.e. Jackets and Chaps). It is good gear and has served us well… but there is one problem with all that leather. It’s big, bulky and takes up a lot of room on the bike. If you are wearing it there is no problem. 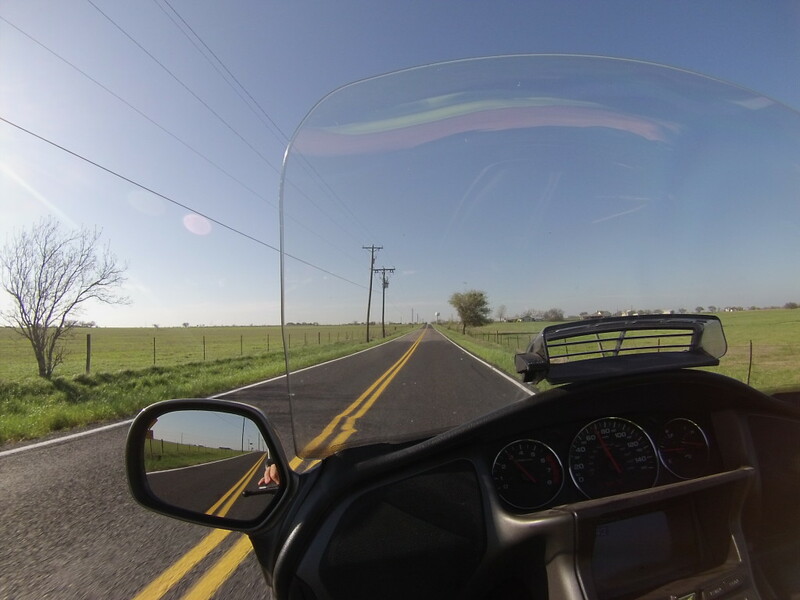 We live in Texas which can be very, hot but when we ride north or to higher elevations the temperatures can be much cooler or even very cold and we need that gear. We need to be prepared for the cooler weather and carrying all that bulky leather gear with us limits what we are able to carry on the bike. I was asked by MotorcycleHouse.com to review their new Enforcer Motorcycle Touring Jacket by Vikingcycle. It sells for a great price of just $99. Reflective front, back, shoulder & arm panels enhance visibility at night or low visibility conditions. When I received the Enforcer jacket, I gave it a good going over. It has many nice features going for it. It is well made and the medium jacket fits me very well. The Enforcer is a 3 quarter touring style jacket made from Tri-Tex high-performance, breathable and waterproof fabric. The jacket seams are tape sealed for waterproofing. The overlapping mandarin padded collar and adjustable cuffs secure with Velcro for a snug fit for those cold days. I really like that the jacket is longer in the back. This extra length prevents the back from riding up when sitting or riding. The jacket has reflective front, back, shoulder & arm panels that enhance your visibility at night and in low visibility conditions. The armor protection in the spine, shoulder & elbow seem to be of good quality and comparable with armor in other jackets. I like the double layering of the jacket. This allows the zippered inter liner to be removed on warmer days. The jacket closes securely with a large front zipper and a snapped flap over the zipper. You can snug up the jacket at the waist and arms with the adjustable snapped tabs on the arms and a Velcro adjustable waist belt. The Enforcer jacket has many useful pockets in places I would have never thought of. There is one pocket I really like. It is a zippered pocket on the lower part of the left sleeve. Inside the pocket is a lanyard so you can attach keys (I think) but I have found another use for it. I have attached the remote of my GoPro to the lanyard. When I’m not using the remote I can stow it in the zippered pocket. When using the remote I don’t need to worry about dropping it. If I do drop it, it will just dangle by the lanyard. In an emergency, I just release the remote to free my left hand and it will dangle. I have used the two large pockets on the lower front of the jacket the most. The right pocket has another lanyard for keys. There is a lot of room for things you need to keep handy. Below is a video from MotorcycleHouse.com detailing the features of the Enforcer Jacket that I may or may not have covered previously. Back in October I was going on a 400 mile ride that I would have been riding in heavy rain. I thought it would be a good test for the Enforcer jacket. Unfortunately it didn’t happen. Before I left the weather forecast changed to the possibility of flash flooding all along my route. I don’t mind riding in heavy rain. I’ve done it more times than I can remember, but I haven’t ridden in, nor do I want to try riding in, a river of rushing water. Below is a short video from that ride. If you are looking for a good riding jacket for a great price, I think you may want to give the Enforcer Touring Jacket from MotorcycleHouse.com a hard look. 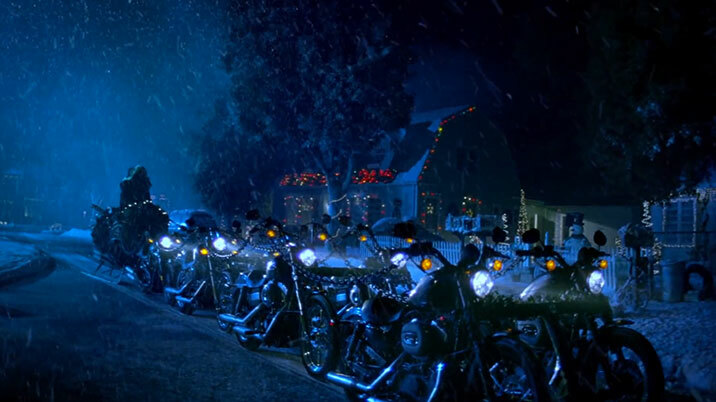 Ride safe… I hope I see you down the road somewhere. Yes, I was robbed while at Old Faithful. 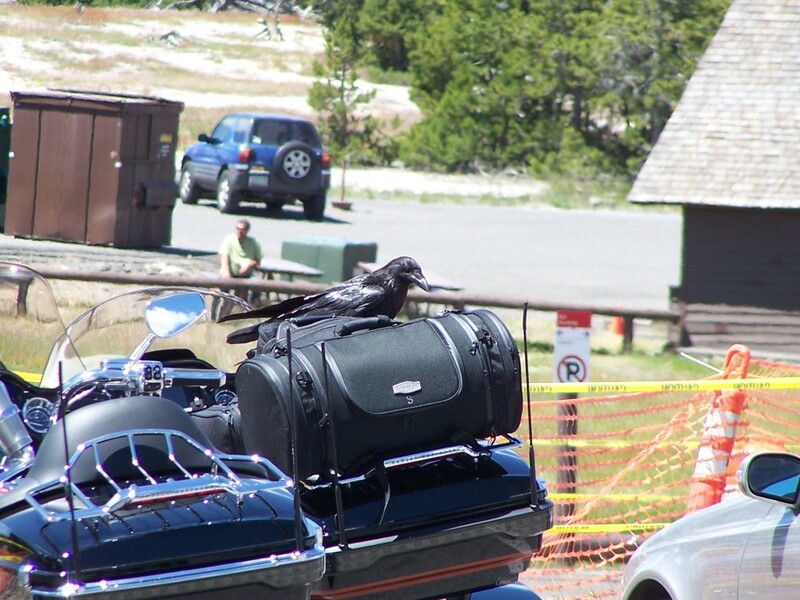 On our motorcycle ride this past June, we were at Old Faithful in Yellowstone National Park. 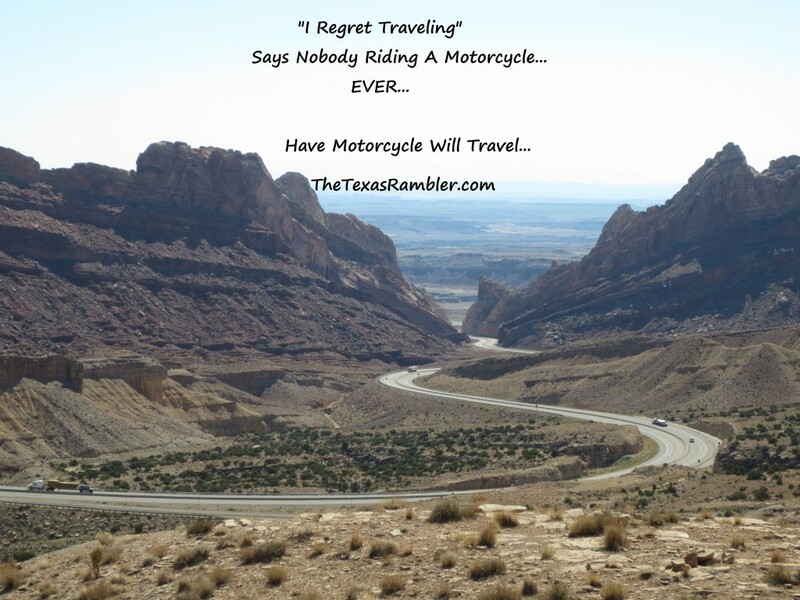 Motorcyclist are very trusting people, if for no other reason, out of necessity. 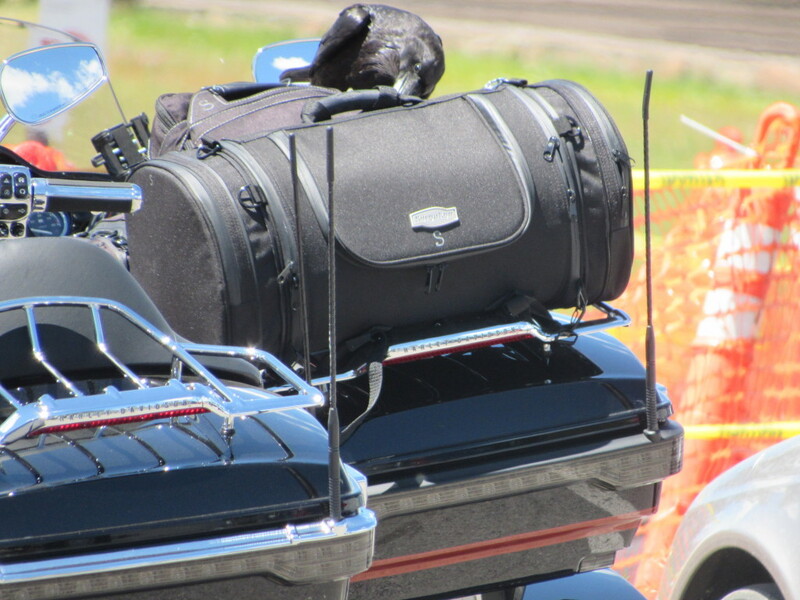 Sometimes it is just not possible, or too time consuming, to secure all of your belongings on your bike. We routinely leave our jackets lying on our bikes if we are not too far away or won’t be long. We were able to get some good pictures of Old Faithful from the Lodge while sipping on a coffee and munching on a cookie. We took a little longer than expected. When I got back to the bike my jacket was there but one of the zippered pouches on my top bag was unzipped and some of the contents were sticking out. 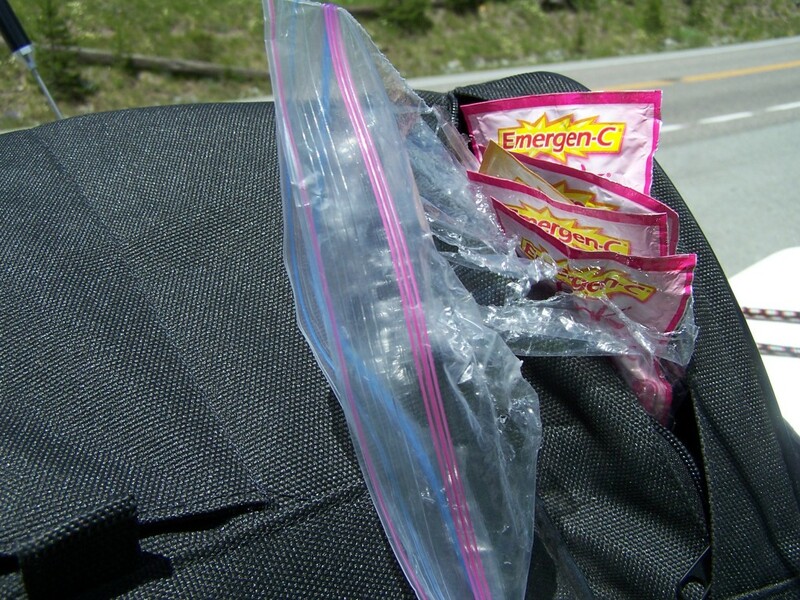 I had a Ziploc bag with some Emergen-C packets in it. The bag was torn to shreds. While here you may want to have a look at some of our travels below. 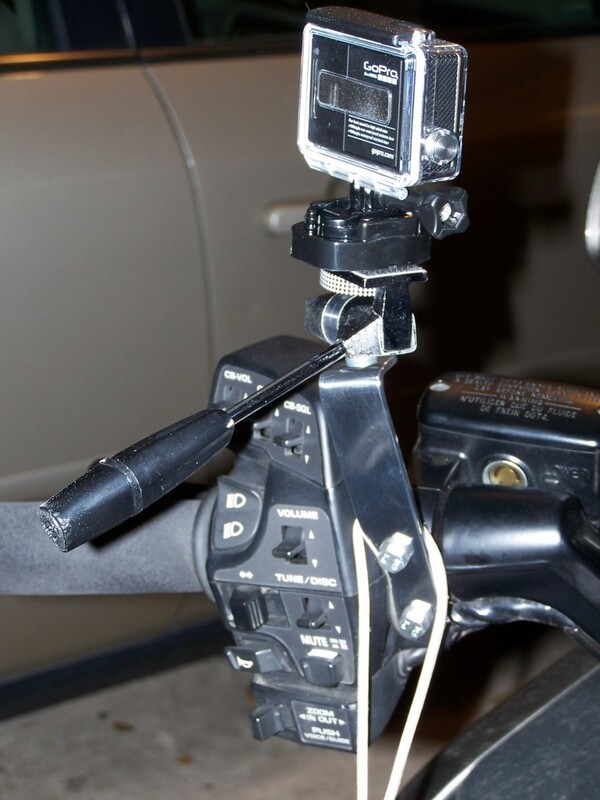 Goldwing handlebar GoPro camera tripod is my solution to using a GoPro on a motorcycle. My daughter gave me a Gopro Hero 3 for my birthday. The GoPro has been gathering dust on the shelf while I have been figuring out the best way to use it while riding the wing. I have seen several mounts stuck in many places on other motorcycles. None of the mounts seemed to fit my needs logistically. When riding, I really don’t want to stop to change or move the camera from one mount to another to get shots while riding. Mounting the camera on my helmet didn’t seem like a good idea either. I wanted something I could safely access while riding. 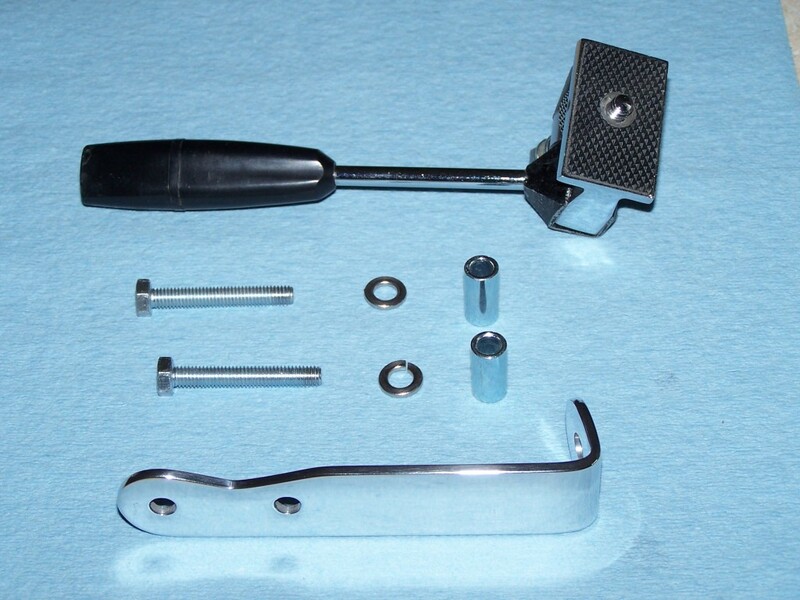 Something that could capture forward, side and rear shots while riding… Like a tripod, mounted on my handlebars. After searching the net, I couldn’t find what I was looking for so I designed and built one myself. It was a pretty simple design made from a 4 ¾” by 1” inch by 1/8” aluminum flat bar and using the head of an old mini tripod I had. The other issue is operating the camera safely while riding. A remote was an obvious the answer. I decided to attach it to my wrist using a lanyard. The lanyard made it easily accessible and I could release it in an emergency. 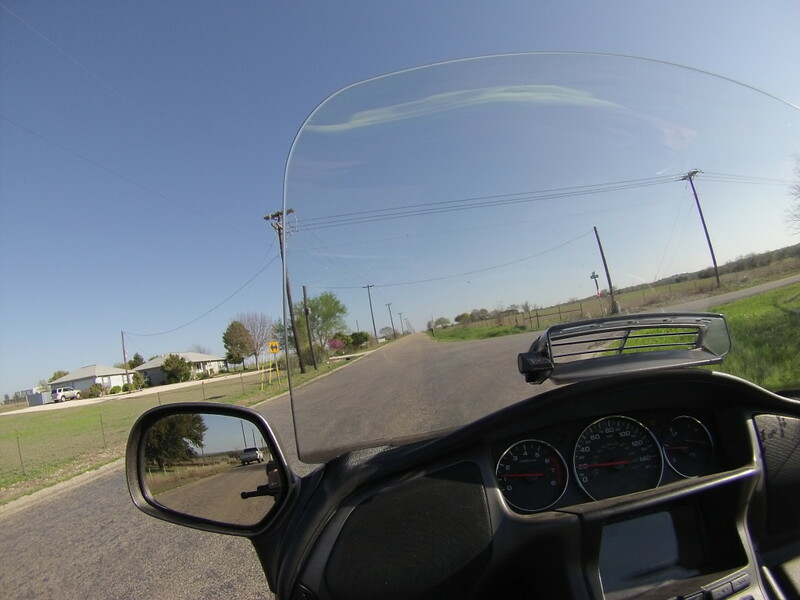 The other day I took it out for a test ride… It all worked amazingly well… I do need to do more riding to get familiar with using the GoPro, the remote and developing techniques to get the best pictures and video. 1In those days Caesar Augustus issued a decree that a census should be taken of the entire Roman world. 2(This was the first census that took place whilea Quirinius was governor of Syria.) 3And everyone went to their own town to register. 16So they hurried off and found Mary and Joseph, and the baby, who was lying in the manger. 17When they had seen him, they spread the word concerning what had been told them about this child, 18and all who heard it were amazed at what the shepherds said to them. 19But Mary treasured up all these things and pondered them in her heart.20The shepherds returned, glorifying and praising God for all the things they had heard and seen, which were just as they had been told. Please click here to check out Facebook Page and give us a “LIKE”.